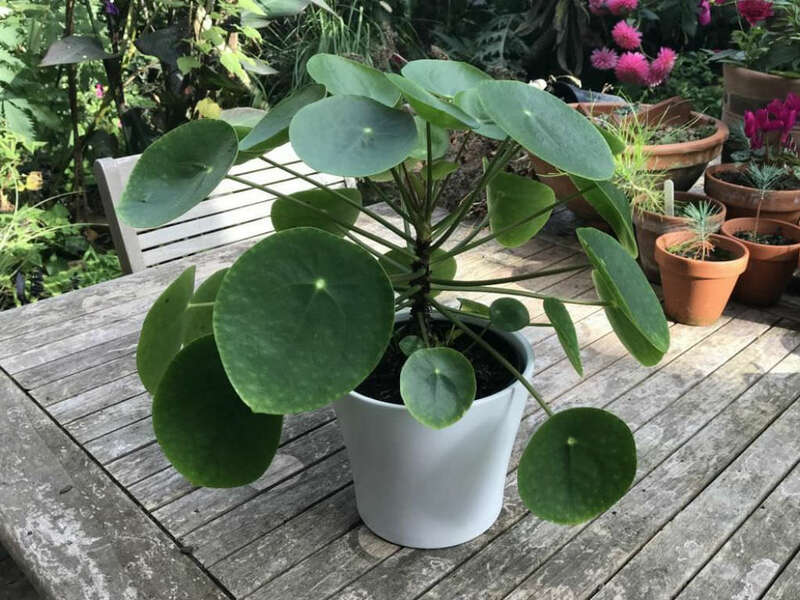 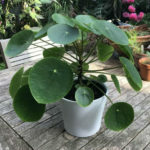 Pilea peperomioides is an erect, perennial succulent, up to 12 inches (30 cm) tall, with round, dark green leaves, up to 4 inches (10 cm) in diameter, on a long petiole. 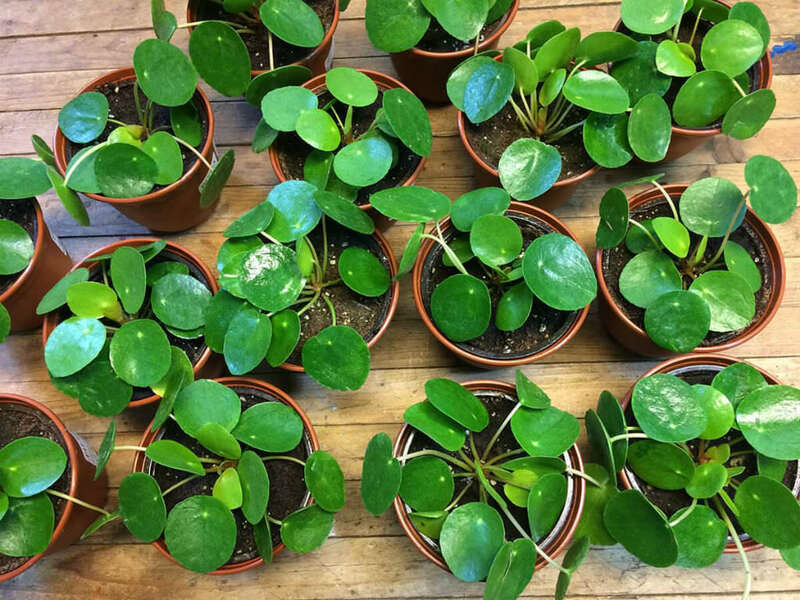 The stem axis is greenish to dark brown, usually simple, often upright straight, slightly lignified at the base. 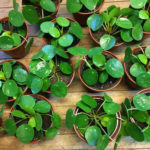 In poor growing conditions, the plants lose their leaves in the lower part of the branch axis and thereby assume a very distinctive habit. 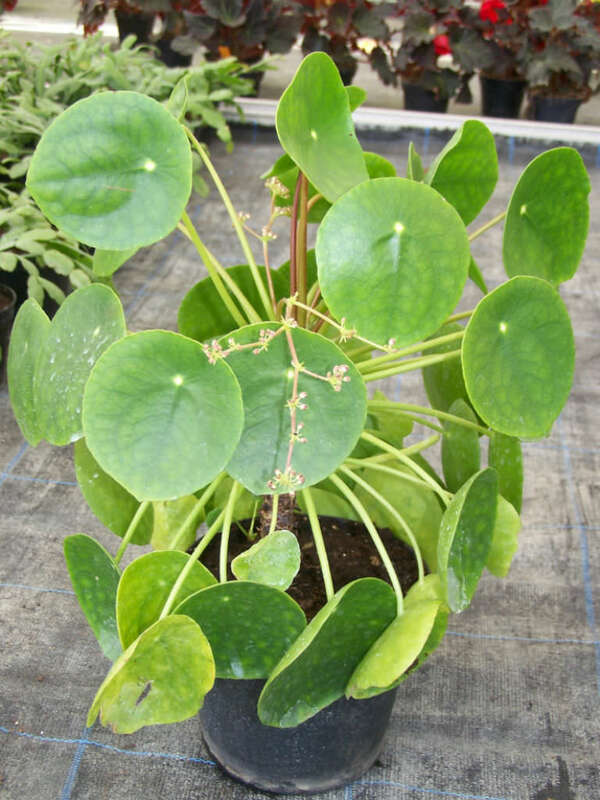 The flowers are very small, whitish or pale green, sometimes tinged pink. 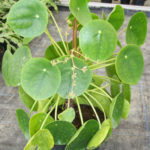 They appear in spring on pinkish stems. 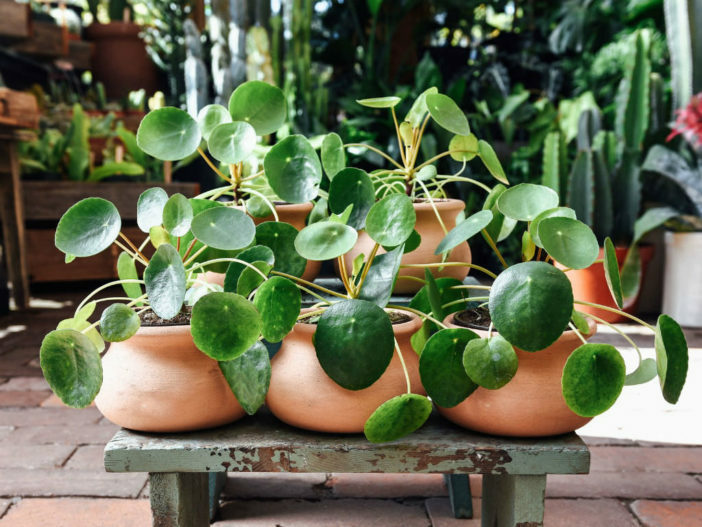 Pilea peperomioides is native to Yunnan and Sichuan provinces in southern China.